Our proprietary VERSAFORM® process supplies value-added packaging for many of the premier CPG companies. Our customers have grown to rely on us for exceptional reproduction quality, durable construction, and innovative standards for packaging with consumer appeal in mind. At Double H our quality standards are incomparable. We provide safe, error free products and services, delivered on time. Our packaging facilities are SQF Edition 8 certified and our products are manufactured with the highest quality and are well above industry standards. 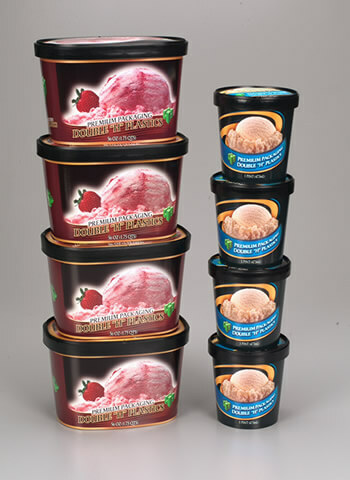 As the industry leader in composite lids, Double H ice cream and frozen dessert packaging combines paper and plastic to conform to any shape and size. 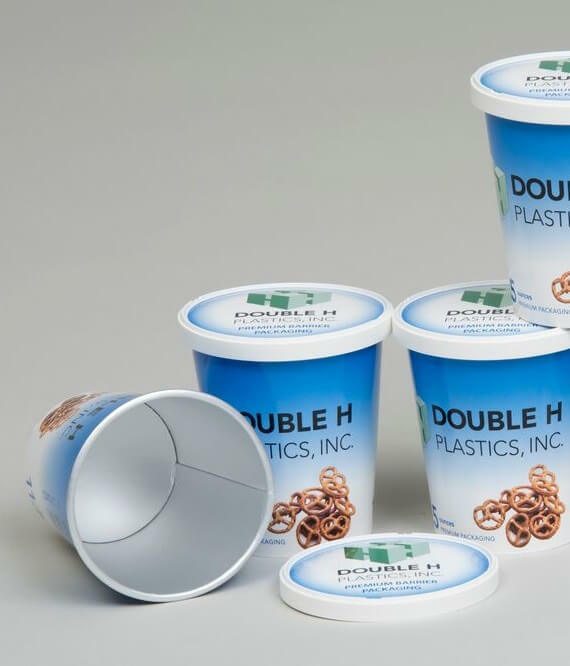 Whether you're looking to upgrade existing packaging or start with a new line of containers, Double H uses the function and fit of plastic with superior paperboard graphics. All serving size options, including family, retail, scrounds, pints, pails, and single serve are available along with lightweight lids for many shapes and sizes. 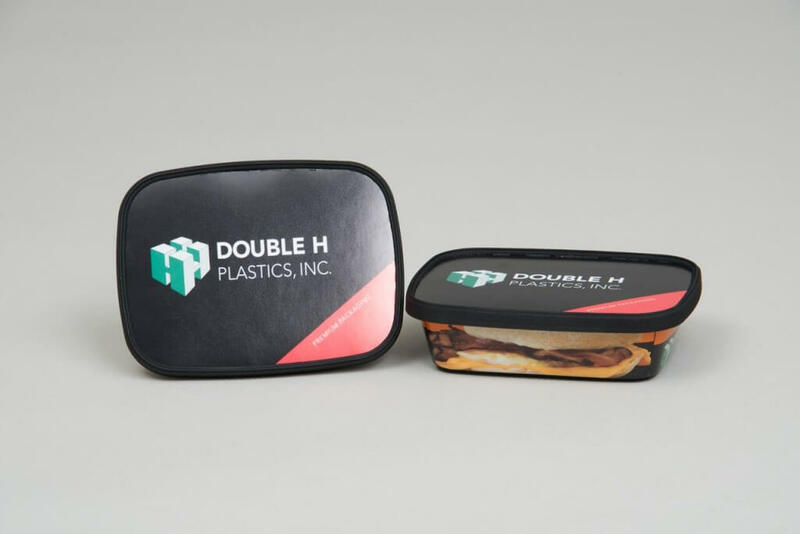 Combining your superior graphic design with our print services and package forming, Double H can make your convenience food packaging vibrant and appealing while standing out on the retailers' shelf for an extended period of time. Shelf appeal counts! Unique lidding features from Double H (windows, tamper evidence, venting) combined with high quality graphics can give your package the eye appeal to stand out from the others. Reach new customers through Double H custom packaging. 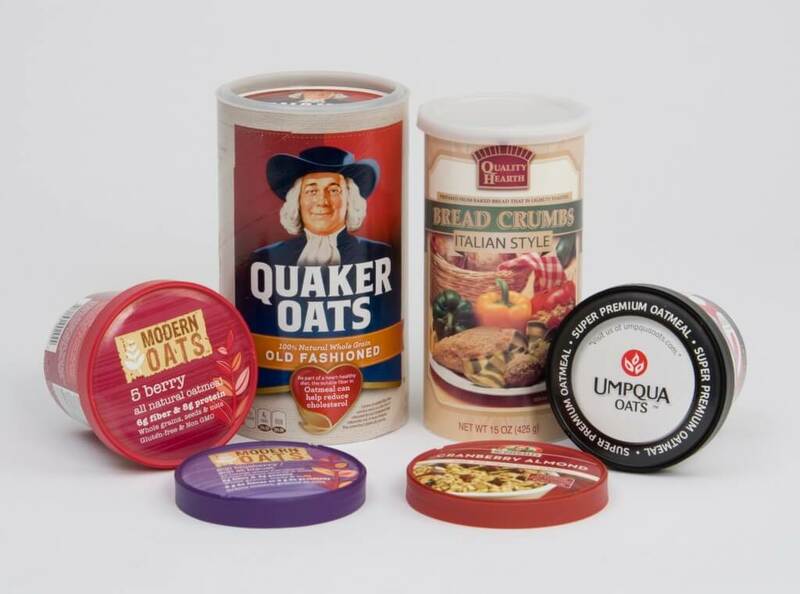 From custom lids to cups and trays, our packaging will protect your product while enhancing your brand. Design your own packaging from the colors to the messaging. Double H can utilize marketing tools such as coupons, back side printing of recipes and other consumer-oriented information.